I’ll be honest, I want Obama to win. Not because he’s a great president. We would need another TR or FDR for that. But campaign costs and the way campaigns are funded, along with Citizens United, make a real reformer president unlikely at present. Look what happened to Obama. He told Wall St during the ’08 campaign that he would raise their taxes and reform the financial system; when he actually tried they revolted to the tune of half a billion dollars in negative ads and lobbying. 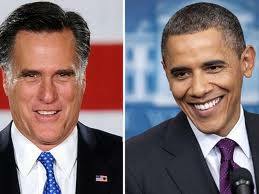 Nevertheless, Romney will be a disaster as president. This afternoon, I spent time reading some of my favorite financial and economics blogs: Simon Johnson and James Kwak’s Baseline Scenario and Jesse’s Café Americain. Through their blogs, I clicked over to a blog by Judge Richard Posner, appointed by Reagan, who now sounds more liberal than modern conservative Republican; then onto an interview with Glen Hubbard, Romney’s leading economics adviser (ugh, what a arrogant sleeze! ); and then found a new blog, Capitalism Without Failure. In each blog, I became more firmly convinced that if Romney is elected, Wall St and the uber wealthy will win; that we average people, like you and me, not only don’t count in their considerations, we’re irrelevant; and that any chance to reform the financial system into becoming a system that provides capital to businesses rather than a high stakes, high risk gambling casino will fail. Most of all, if the nation continues to celebrate the “greed is good” and “me first and only” ideology that has been fostered over the last 30 years, the nation will see another devastating depression within a few years. It will be far worse than the Great Recession and would likely spark violent revolutions worldwide. Yesterday, I read a Business Week Charlie Rose interview with Jeremy Grantham who owns a highly successful equity fund business. He, too, is sincerely worried about coming events that the GOP ignores or has convinced its base is irrelevant or misleading (pdf). He told Charlie the U.S. is in for a major fall if it doesn’t wake up to what is going on worldwide and here at home. Over and over again, I read the hazards that await the country if this nation doesn’t change paths. Obama, I believe, is attempting to change those paths if not well, considering the legacy of monied forces arrayed against him and his innate desire to cut a deal rather than being the progressive reformer TR was. Romney, on the other hand, is a continuation of GW Bush on steroids, and the GOP Congress is worse. In Bloomberg View, Jonathan Alter writes that if Romney is elected, not only will we not know which Romney shows up at any particular moment, he’ll be constantly looking over his shoulder to the GOP Congress to see how he should act and what he should say. He’ll be led along by Norquist, DeMint, and Blackrock’s Schwartzman to name a few. Ryan will probably control the budget, just as Cheney controlled energy and national security. Our nation is already suffering OECD ratings losses in a variety of competitive areas, from education to equity and mobility to loss of new business start ups to income security to health care to governmental ability to resolve problems and issues. Given the Romney-Ryan budget plans, neo-con national security advisers, and the whole far right wing conservative movement of the GOP, I cannot conceive of a Romney administration increasing the nation’s OECD competitive ratings…or even Harvard’s Business School Review’s competitive rankings. It’s hard for me to believe that so many people have been conned by Romney. He’s a chameleon whose only beliefs are his destiny to become president (fulfilling Daddy’s dream?) and that the wealthy are superior beings. The US cannot be run as if it’s an LBO in the making. Or at least it should not be. As John Winthrop told his small community of colonists back in the early 1600s, the community needed to needed to take care of each other as Jesus required. And only in ensuring the economic viability and equitable opportunity of every colonist would that community become the “shining city on the hill” – the light of Jesus. Yet, now, nearly one half of the nation would choose to elect a man, and a party, who choose to negate everything Winthrop told his Puritan parishioners and which that colony worked so diligently to achieve in terms of equity and opportunity, from free schools to physical and monetary care for the poor and disabled to income taxation based on ability to pay without causing family harm for the general needs of the commonweal. There are plenty of things about which dislike the Obama Administration. But a Romney administration would be even worse – not by any stretch of the imagination better. 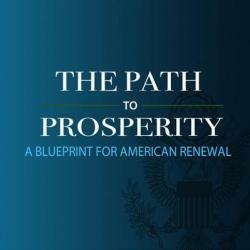 Romney would lead the nation down the path of Depression and aggressive selfishness. Hat tip to one of my Facebook friends, Bruce Bartlett who advised Presidents Reagan and GHW Bush on tax policy, including Reagan’s tax reform of ’86, for letting me know about this video documentary. The first 20 minutes or so describe the lives and luxury of the uber wealthy. But don’t be deceived into thinking this video is a rant against the wealthy. It’s not. This video is an expose on how politics and wealth intersect…and how that intersection affects middle and working income and poor families. This hour-long video needs to be seen by every voter of conscience, from whatever party, before casting their votes. It shows quite clearly how our system is broken, why it’s broken and how beloved nation has begun to fail to live up to its potential. Neither party is spared judgement. I urge everyone to put aside everything else and take the time to watch the entire video documentary and to think about our nation, her well-being, and all her people before the election. The US is not, nor has it ever been, pre-Revolutionary France or Russia wherein a few very wealthy held all the power and opportunity while everyone else struggled to survive, thrive and paid all the national bills. John Winthrop and his Massachusetts colonists created the first free schools because the colonists knew education was vital to economic health, demanded that everyone help those who suffered hardships because doing so was the message of Jesus, and required each family pay a income proportional tax so the colony could pay for its needs and wants. Winthrop believed that only through building a strong, cohesive, educated community could the colony become the shining city on the hill that Reagan and many other politicians have cited rhetorically. As you can see in this documentary, Winthrop’s dream of a shining city – Jesus’ shining city – is not just under attack but is threatened with having its lights extinguished. Yes, the political system is broken because of money in politics and the wealth that can be made through the use of and manipulation of political power. But much worse is erosion of the traditional social values of social cohesion, caring for the poor, and education of which Winthrop spoke and this nation held for over 300 years. As I did last week following the first Presidential debate, I’m reposting the Washington Post’s Wonkblog fact check of VP debate, Footnoting the Debate to serve as a reference of the actual facts rather than just accepting what was said. It’s worth pointing out that not receiving insurance through an employer doesn’t necessarily mean losing insurance altogether. The CBO expects that many of those that no longer have employer sponsored insurance will obtain coverage on the federally-subsidized state health insurance exchanges. Biden made reference to “Catholic social doctrine” to care for the needy as being part of his religious faith. He’s not the first liberal Catholic to do so: A group of Catholic nuns have crusaded across the country against Paul Ryan’s budget, and the US Conference of Bishops argues that it “fails to meet” the Church’s moral principles. To me, the principle of subsidiarity, which is really federalism, meaning government closest to the people governs best, having a civil society of the principle of solidarity where we, through our civic organizations, through our churches, through our charities, through all of our different groups where we interact with people as a community, that’s how we advance the common good. That was Joe Biden, talking about the health care law’s requirement that employers provide no co-pay birth control. He’s referring there to a compromise that the Obama administration worked out earlier this year, for religious institutions that oppose that provision, where the insurance company – rather than the religious employer – pays for contraceptive costs. Religious institutions have argued that that isn’t a strong enough protection. Since they pay into the the insurance plan, by contributing to employer premiums, these employers argue that their funds could potentially end up being used to cover the contraceptives they oppose. The guidance from the Obama administration, issued in February, does not address this concern. Would tax hikes on the wealthy hurt small businesses? Not many of them. Biden said repeatedly that raising taxes on high-income Americans, as Obama has proposed, would hold 97 percent of small businesses harmless. As my colleague Glenn Kessler has noted, “The Joint Committee on Taxation has determined that only 3 percent of all ‘small businesses’ would be affected by Obama’s proposal,” which would let the Bush taxes on households with income more than $250,000 expire. Can we close the deficit solely by taxing the wealthy? Doubtful. At one point in his back-in-forth with the vice-president, Paul Ryan argued that it’s not possible to close the deficit simply by raising taxes on the wealthy—at least if we’re talking about politically realistic tax hikes. Ryan’s basically right about that. Here’s one concrete way to look at this, courtesy of a Third Way paper, “Necessary but Not Sufficient: Why Taxing the Wealthy Can’t Fix the Deficit.” The study looks at what would happen if Congress let the Bush tax cuts expire for income over $250,000, pared back deductions on the wealthy, expanded the estate tax, boosted the capital gains tax by five percentage points, and adopted a Buffett Rule for incomes over $1 million. That’s slightly more in taxes than what President Obama has proposed. But, Third Way estimates, the national debt would still double as a share of the economy by 2035–not least because of the rising cost of Medicare. Here’s the report’s bottom line: “Relying on taxes alone to hold long-term deficits at 3 percent of GDP would require phasing in a 60 percent tax increase on the median-income family, raising its annual tax burden by $6,200, in 2012 dollars.” So it’s technically possible. But not many people in Congress are proposing tax increases like that. The White House certainly isn’t. That’s why most of these bipartisan deficit commissions tend to advocate a mix of tax hikes and spending cuts. Paul Ryan repeated his campaign’s talking point that six studies have debunked the Tax Policy Center’s claim that it is “mathematically impossible” for Romney to implement all his tax cuts, achieve revenue neutrality, not raise taxes on the middle class, and not raise taxes on investments. I can’t believe we have to keep saying this, but no, six studies did not say that. One study, from Harvard’s Martin Feldstein, only found that the Romney plan is possible by fiddling with the definition of “middle class”, and confirmed TPC’s finding under the definition TPC used. Another, from AEI’s Matt Jensen, found that if you subject some investment income, namely interest on state and local bonds, to taxes, the plan need not raise middle class taxes. But that leaves TPC’s claim untouched. Another, from Princeton’s Harvey Rosen, relied on implausibly high estimates of the growth effects of the Romney tax plan, and even then confirmed the TPC finding when comparing the plan to a baseline where the Bush tax cuts expire. And another, from the Heritage Foundation’s Charles Dubay, is based on a misestimation of the cost of an obscure estate tax provision. What’s more, not all of these are actual studies. Jensen’s critique, for example, came in the form of a blog post. That says nothing about its quality, just that the Romney campaign’s characterization is a bit odd. Only three working papers or studies – one from Rosen, one from Dubay, and one from Feldstein – attempt to rebut the TPC study, and none succeed in rebutting TPC’s actual points. In short, the Romney plan is mathematically impossible. Biden is right. Ryan is wrong. The moderator mentioned that Ryan had supported Bush’s plan to partially privatize Social Security. In fact, Ryan originally had his own plan to create a voluntary private option, which “would have allowed workers to funnel an average of 6.4 percent of their 12.4 percent payroll-tax contribution to a private account,” as my colleague Dylan explained. Bush actually rejected Ryan’s plan, which was estimated to cost more than $2 trillion, for being too profligate. Ryan backed Bush’s own privatization push as well. Will Medicare cuts drive ‘one-sixth’ of hospitals out of business? It’s worth noting that the Medicare reform plan that he co-authored with Sen. Ron Wyden (D-Ore.) would have maintained these very same cuts. 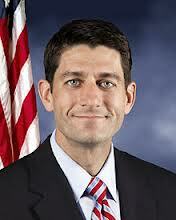 Paul Ryan accused Joe Biden and the Obama administration of increasing the budget deficit with the stimulus package. Whether the stimulus will end up increasing the deficit is an open question. Larry Summers and Brad DeLong have argued that the growth it caused could end up increasing future tax revenue enough to make it deficit-neutral. But in any case, there was no disagreement about deficit-financed stimulus policy in early 2009. Republicans wanted it to. For example, arch-conservative Sen. Jim DeMint proposed making all the Bush tax cuts permanent, cutting the top rate to 25 percent, cutting the corporate tax to 25 percent, and almost eliminating the estate tax as a stimulus measure. That costs $3 trillion over ten years, four times the sticker price of the American Recovery and Reinvestment act. All but four Republicans in the Senate voted for that. Further almost all Republicans voted for the Economic Stimulus Act of 2008 when the recession was just getting underway in March, which increased the deficit by about $156 billion. Paul Ryan and all but 25 House Republicans voted for it. All but 16 Senate Republicans did. Finally, Mitt Romney took to National Review in late 2008 to argue for a deficit-financed stimulus package, including tax cuts but also aid to renewable energy, infrastructure spending, and aid to states and localities, all of which ended up becoming key parts of the 2009 stimulus act. He acknowledged the deficit cost of this plan and proposed following up the plan with entitlement reform to blunt the impact on the deficit. Joe Biden quipped that death panels seem to come up at each vice presidential debate he’s participated in. But death panels weren’t even an idea back in 2008, before the health reform law even existed. They’re usually traced back to 2009. Former vice presidential candidate Sarah Palin started talking about the idea that summer, as the health reform debate was heating up. Mike Lofgren, the Republican Congressional staffer made famous when he published an op-ed explaining why he left the GOP, has gone on to publish a number of articles blasting the modern GOP. His latest, published on the Huffington Post, takes issue with Paul Ryan’s claim that Obama dismissed the Simpson-Bowles report. Rather, Lofgren argues, Ryan himself, as a member of the Committee, blew it up. A key component of the Simpson-Bowles package was its tax policy, which to all appearances came straight from the Republican playbook. As opposed to a progressive income tax system (during the Eisenhower administration the top marginal rate was 91 percent), many in the GOP have been pushing for at least 30 years for a flat tax scheme, whereby hedge fund billionaires and ditch diggers will pay the same rate. The GOP’s rhetorical halfway house to achieving this goal is “tax reform,” whereby rates will be lowered, flattened (with fewer rate steps) and broadened (with more low-income earners paying income tax because of the removal of deductions and tax credits). And that is precisely what the Simpson-Bowles tax proposal did: it lowered, flattened, and broadened the tax system, just as House GOP commission members Ryan, Dave Camp, and Jeb Hensarling repeatedly advocated during the commission’s deliberations. But there was just one fly in the ointment. The commission’s overriding mission was to reduce outyear deficits, and revenue loss would make this goal more difficult if everyone were paying a lower rate. So the commission staff proposed to tax capital and labor at the same rate: in other words, the hypothetical hedge fund billionaire’s capital gains and dividends would no longer be taxed at the current preferential 15 percent rate, but at the top marginal rate of 28 percent. This proposal, along with the capping and elimination of many deductions, meant the commission’s tax plan actually brought in more revenue than current policy, thereby reducing the deficit. Now comes the dirty little secret of the GOP’s real, as opposed to pretended, tax policy. It is not just that they want the leveraged buyout artist paying the same federal tax rates as a cop or school teacher, they want a buyout artist to pay a lower rate — or no taxes at all. When presented with the commission’s plan, which would lower outyear deficits by $4 trillion, the three House GOP deficit hawks Ryan, Camp and Hensarling voted to reject it. President Obama “did exactly nothing” because the commission’s proposal was dead: Paul Ryan had helped kill it. Ryan’s opposition to the commission’s recommendation was logical even if his misrepresentation of it was deplorable. His own budget features capital gains and dividend tax rates of zero. No wonder the purported arch-deficit hawk was unable to tell Brit Hume when his budget would balance. In truth, it will not balance within decades, even with the most favorable economic assumptions. That is the next dirty little truth: when presented with a clear choice between deficit reduction and further lowering taxes on their rich contributors, Ryan and most of his GOP colleagues will unhesitatingly opt for the latter. All the tough talk about deficits is so much eyewash intended to fool gullible Tea Partyers.A key component of the Simpson-Bowles package was its tax policy, which to all appearances came straight from the Republican playbook. As opposed to a progressive income tax system (during the Eisenhower administration the top marginal rate was 91 percent), many in the GOP have been pushing for at least 30 years for a flat tax scheme, whereby hedge fund billionaires and ditch diggers will pay the same rate. The GOP’s rhetorical halfway house to achieving this goal is “tax reform,” whereby rates will be lowered, flattened (with fewer rate steps) and broadened (with more low-income earners paying income tax because of the removal of deductions and tax credits). That is the next dirty little truth: when presented with a clear choice between deficit reduction and further lowering taxes on their rich contributors, Ryan and most of his GOP colleagues will unhesitatingly opt for the latter. All the tough talk about deficits is so much eyewash intended to fool gullible Tea Partyers. Seniors Prefer Ryan’s Medicare Plan? The new Washington Post-ABC News Poll show 50% of seniors view Paul Ryan’s Medicare plan favorably. I’m not sure if they really understand what he proposes or if they just don’t care about making sure their kids and grandkids have the same benefits they have. Are they ignorant of what he really proposes, and which both Romney and House Republicans approved, or are they just selfish? I don’t know. In 2022, the projected cost of purchasing a Medicare equivalent plan is equal to 35 percent of the median 65-year-old’s income. By 2050 the cost is projected to rise to 68 percent of the median 65-year-old’s income…[The projected payment to buy a Medicare equivalent policy] would be equal to 200 percent of the income of the median 85-year-old. What Ryan does is sift the costs for seniors’ health care expenses from the government to seniors. Yes, it will reduce the budget deficit because health care spending is huge, but his Medicare plan does not save any money in the health care delivery system, i.e. health care providers and suppliers. It does nothing to bend the cost curve, apart from expecting seniors to become more rational buyers of health care. In other words, he’s telling future seniors to shop around more, or to tell doctors they won’t get that test the doctor wants done, or to question their doctor’s judgement. Good luck with that! But that is not all. Ryan also sets up Medicare exchanges – exactly the same type of exchanges that the GOP rails against as part of the Affordable Care Act – from which seniors can review and pick their private insurance. Overall, that’s fine. Having been a shopper of private health insurance, I approve of exchanges where people can review different plans (apples to apples comparisons) and choose one that best suits their needs; but as we know, seniors oftentimes don’t choose the best plan for themselves, and evidence suggests from recent studies that some seniors are often misled on costs and benefits so that they ending up paying far more than they would under traditional Medicare. As we all know, too, a private insurance market currently exists under the Medicare umbrella. It’s called Medicare Advantage. However, what too many don’t know is that Medicare Advantage costs the Medicare program 14% more than traditional Medicare for a variety of reasons. One of the biggest reasons for this differential is because of traditional Medicare’ size: the program’s size enables it to use its massive buying power to lower costs far more than a variety of private insurance companies can. In addition, Medicare’s administration costs are much lower, around 3% compared to 20% to 30% for Medicare Advantage. So, here’s the point: health care, especially for seniors, costs all of us far too much. We all agree on that point. Currently, the U.S. spends 17% of GDP on health care while other developed countries spend between 3% to 11%. So, I’m not saying Medicare should not be reformed, but I believe any reforms must be targeted at reducing the overall costs inherent in the delivery system rather than just shifting ever increasing costs to seniors. If current seniors believe this is a good deal for their kids and grandkids, then I have to wonder what they’re thinking. As a senior myself, if his plan were put in place next year, I’d be flat broke in a decade or so, rather than lasting 20 some years. Every dime I saved for 30 years for my retirement would be gone, forcing me to move in with my kids. Is that the scenario 50% of seniors today want for their kids? Wendell Potter, senior analyst for the Center for Public Integrity and former head of public relations at CIGNA, joined Eliot Spitzer to analyze Paul Ryan’s plan to restructure Medicare and to put states in charge of Medicaid. Watch the interview to hear what this former health insurance company executive has to say about Ryan’s (and now Romney’s) health care plan. Rather than expend a great deal of digital ink on describing Ryan’s plan, let’s go to the Washington Post’s Wonkblog, Ezra Klein. who has analyzed it in detail. The clearest way to figure this out is to look at the “Chairman’s mark.” This is the version of Ryan’s budget that’s in legislative language and gives specific forecasts for spending by government function. You can see them in table form at the end of his bill (pdf) and then compare them with the White House’s Table 32-1 here. Exciting, yes. How might this lower spending play out in the real world? Let’s take transportation as an example. Right now, the United States is facing a number of pressing infrastructure challenges. The National Highway System, first built in the 1950s, is reaching the end of its natural lifespan. Our air-traffic control system is outdated, causing airport delays around the country. About one-quarter of the country’s bridges are either “structurally deficient” or inadequate to today’s traffic needs, according to the GAO. A variety of think tanks and analysts have pegged the cost of repairing and upgrading our transportation networks at somewhere between $200 billion and $262 billion per year over the next decade. The White House’s budget envisions spending an average of about $104 billion per year over that time. 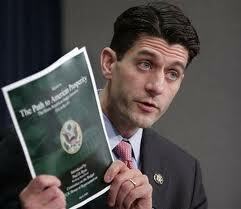 Ryan’s budget, meanwhile, allocates $78 billion per year. In his summary, Ryan claims he can meet the country’s needs by cutting back on “imprudent, irresponsible, and downright wasteful spending,” though it’s not clear what waste Ryan has in mind, much less whether it would make up the gap. Alternatively, we can look at what specific cuts might ensue in the very near future. Third Way has tried to game out the impact of Congress’s recent debt-ceiling deal on specific government programs. The cuts to domestic spending, if applied across the board, would lead to fewer food inspectors, fewer air-traffic controllers, and so forth. And Ryan’s budget, for its part, goes even deeper than the debt-ceiling deal. Now, obviously, Ryan’s budget may not lead to these exact cuts. Perhaps Congress will go out of its way to shield weather forecasting while cutting something else in the environmental budget even more. But when the budget is this tight, Congress can’t shield everything. And Kendall’s analysis is a useful way to make those spending reductions a little more concrete. Does this plan even remotely appear to increase America’s competitive ability or insure the nation’s fiscal stability or protect the nation’s most vulnerable from economic harm? Or to put it another way, if Jesus were involved in economics and business today, would He approve of Ryan’s plan, given all He said about caring for the poor, the widow and orphans, the homeless and needy? I’m not convinced. 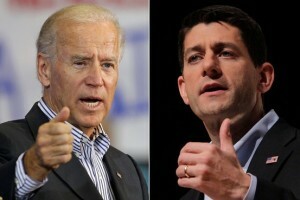 Yet, this plan is Romney has endorsed by his selection of Ryan as his running mate. NOTE: To see all the links from the original Wonkblog post, gohere.